The effectiveness of Dybuster’s learning software has been proven in a number of scientific studies. 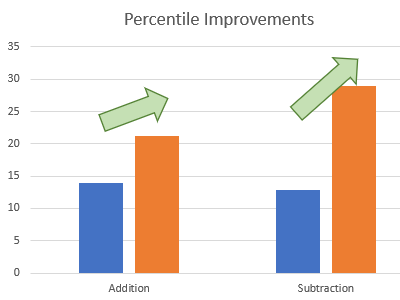 Orthograph has been shown to produce an average 30% reduction in errors following 12 weeks of training, while Calcularis shows a 30-45% increase in correctly solved problems depending on the task at hand (number line tasks, addition, subtraction, etc.) It also shows a proven reduction in math anxiety. The training periods examined in the Calcularis studies varied from six to 12 weeks. This page gives an overview of the studies carried out to date, what was examined, and what the results showed. 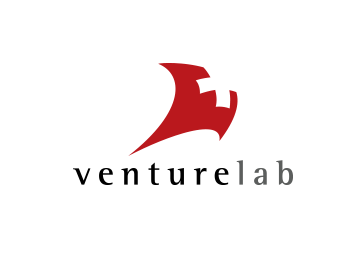 We feature only publications that were accepted in an international peer review process. This guarantees the highest possible quality standards for scientific work. The publications are protected by copyright law and are the property of their respective publishers. As such, we are usually not able to offer the publications for direct download. We ask for your understanding regarding this matter. How effective is Dybuster Orthograph? 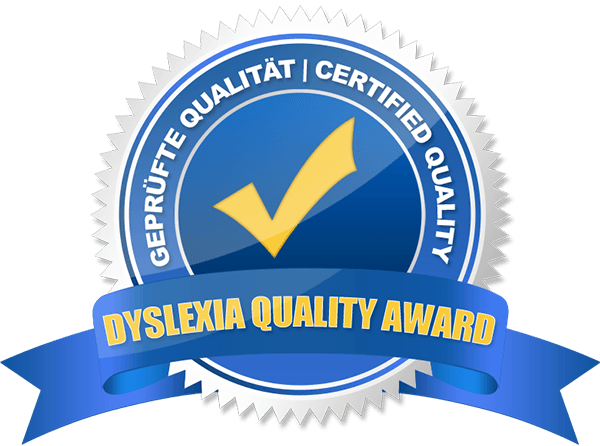 The first ever Dybuster-related study investigated whether Dybuster's visual and auditory training was fundamentally capable of promoting better spelling skills in children both with and without dyslexia. As part of the study, two experimental groups, each consisting of a mix of dyslexic and non-dyslexic children, trained with the software for twelve weeks each, one during the spring term and one during the autumn. The children practiced for 15-20 minutes four times per week. Improvement was measured by means of a word test on pen and paper, with measurements taken pre and post-training. 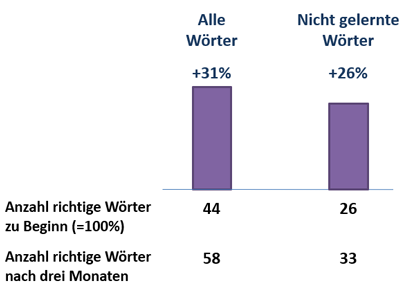 Children who had not used Dybuster achieved hardly any improvement at all (0-9%), while those who had used Dybuster during the spring term achieved an improvement of 19-35%, during the autumn term an improvement of 27-35%. Both the dyslexic and non-dyslexic children saw benefits from Dybuster, though the improvement was more pronounced among the former. The researchers noted, in particular, that children who trained with the software also showed improvements in their ability to spell unfamiliar words; this denoted the transfer of knowledge and skills not only from the computer training scenario to pen and paper, but from previously practiced to non-previously practiced words, too. This study set out to investigate two things: firstly, whether the revised version of Dybuster was successful in facilitating greater learning progress, and secondly, whether the resulting improvement in spelling skills could be attributed to enhanced phonological understanding. To obtain a more in-depth insight into the factors relevant to learning progress, the study also analyzed cognitive ability, attention, and verbal memory. 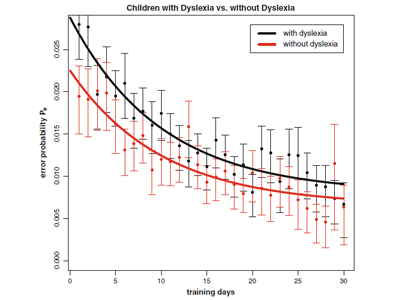 As in previous studies, a mixture of dyslexic and non-dyslexic children (see above) were assigned to two different training periods and trained for 15-20 minutes four times per week over a 12-week period. The study showed that the revised version of the software led to a 54% improvement in the rate of learning progress compared to the older version. In particular, it showed that the children were able to significantly reduce the number of errors made in phoneme-grapheme mapping, on the basis of which the authors concluded that Dybuster Orthograph effectively enhances a child's phonological understanding. This reduction in the number of phoneme-grapheme mapping errors was shown for both dyslexic and non-dyslexic children. The ability to concentrate did not have a measurable influence on the children's progress. In fact, children with a lower ability to concentrate benefited particularly from the structured learning environment provided by Orthograph. To our knowledge, no other piece of mathematical training software worldwide has undergone more extensive scientific testing than Calcularis. We are proud to be able to present some of the participating publications here. Using a predecessor version of Calcularis, this study set out to verify whether or not computer-based training was capable of improving the neurological development of number processing and, in particular, of facilitating its automation. The predecessor featured the current country game, which is designed to train the child's concept of an expanding number range and the transcoding of numbers onto a number line. Children with and without dyscalculia were recruited to participate in the study which consisted of 15 minutes' training five times per week over a period of five weeks. fMRI scans were used to produce brain images of the participants before the study, directly after it, and again after another couple of months. The purpose of these scans was to measure changes in brain activity. In children with dyscalculia, it was quite clear that, prior to the training, the posterior (rear) regions of the brain - where the automation of number line processes is supposed to take place - were less active than in the children without dyscalculia, while the anterior (front) regions of the brain were utilized heavily to compensate. This finding was to be expected based on the neuronal development model. After the training, there was a measurable increase in activity in the specialized posterior regions of the brain and a decrease in activity in the anterior regions. 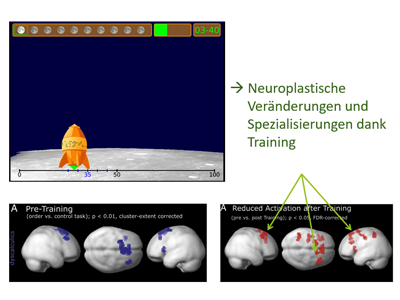 This led the scientists to conclude that the neuronal specialization and automation associated with number processing was boosted by the training. 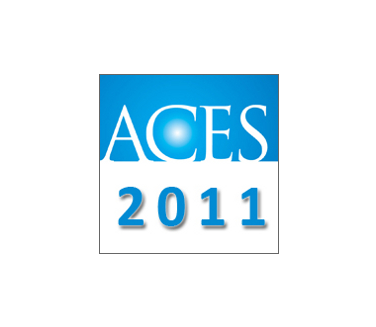 The purpose of this article was both to introduce the key concepts of Calcularis (user-specific adaptations, multi-sensory learning, modeling of the neurological development process) and to present the results of the first Calcularis study, the aim of which was to show whether students were better able to cope with number line tasks and the basic operations of addition and subtraction as a result of using Calcularis. It also intended to investigate if and how learning progress differed after 6 weeks' and 12 weeks' training. As such, the children trained for 15-20 minutes three to four times per week over a period of either 6 or 12 weeks. The children were able to gain significant benefits from the training, with the 12-week training period bringing greater benefits than the six-week one. After 12 weeks of training, the children were able to solve number line tasks with 30% greater accuracy, while the number of correctly solved addition and subtraction problems increased by 45%. The improvement in the children's ability to solve subtraction problems was greater than for the addition problems. This is because subtraction was generally more difficult for the children at the outset and thus Calcularis adapted by presenting them with a greater number of subtraction problems. The study also showed that Calcularis automatically spends more time on the areas in which the children have a greater need for support. The goal of this study was to determine whether Calcularis was also capable of helping younger students improve the numeracy skills in which they showed the greatest need for support. Additionally, the study investigated whether the children's anxiety about math could be reduced by the training. The children, who were aged 7 to 10 years, practiced over a 6-week period: a relatively short time in comparison to other studies on the software. They completed five training sessions of 20 minutes instead of three to four sessions of 15-20 minutes. The study showed that the children with dyscalculia or weakness in numeracy were able to significantly improve their skills in numerical processing, addition and, in particular, subtraction. The study also established a significant reduction in math anxiety. The authors of this study instructed one third of the participants to practice with Calcularis and another third to practice with Orthograph (the training control group). The remaining third was used as a waiting control group and did not participate in any training. At the end of the study, the difference (if any) in the improvement of math skills between the Calcularis and Orthograph training groups would show whether it was possible for improvements to be attributed solely to the use of a computer-based training program that did not train math-specific skills. The training period was 6-8 weeks consisting of at least 24 20-minute training sessions. 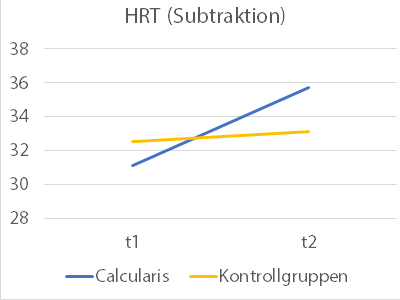 In comparison to both the waiting control group and the training control group, the Calcularis training group made greater progress in number line and subtraction tasks, with moderate to to large effect. 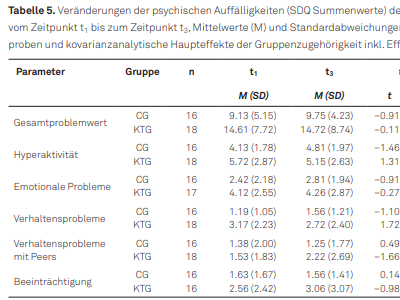 While the control groups hardly achieved any improvement in mental subtraction tasks - or, with 1.7% fewer correctly solved problems, were even slightly worse - the Calcularis training group saw, on average, an 18% increase in correctly solved problems. As such, the study was able to show that it is not the use of computer-based training in itself that leads to improvement, but rather subject-specific training. This publication looked at the direct long-term effects of Calcularis. The children who participated in the study trained for 20 minutes five days per week over a period of six to eight weeks (altogether on a minimum of 24 occasions). Their progress was studied directly after the training and in a "follow-up" test five months after the end of the training. As in previous studies, the results showed a significant increase in performance amongst the Calcularis training groups in comparison to the control groups, particularly in subtraction (see the image on the left) and number line estimation. Five months after the conclusion of the training, the researchers found that while the children's level of performance in arithmetic had remained stable, their improvement in number line estimation tasks had stayed constant. As such, they concluded that Calcularis doesn't simply lead to short-term improvement, but also enables learners to build on their progress over a longer period. Continuing on from Part 1, which appeared in the same publication, this study looked at the influence of Calcularis on mental irregularities, math performance anxiety, and the children's own perception of their skills. In particular, it aimed to find out whether Calcularis training could lead to a measurable improvement in these areas. The pre-training tests demonstrated a major emotional burden on the children with difficulties in math. 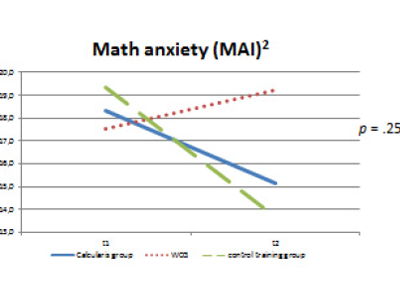 The results on the immediate effects of the training showed a significant reduction in math anxiety among children who had trained with Calcularis for 6 to 8 weeks. In addition, the children improved their self-opinions and their attitude towards the subject and strengthened their cognitive self-concept. Five months after the training ended, the children demonstrated a further improvement in these socio-emotional characteristics while mental irregularities remained at a constant level. As a result of this, the authors of the study concluded that Calcularis could be used as a beneficial addition to learning therapy interventions and mathematics teaching. The above-listed publications cite the raw value and z-value improvements of the study participants, which is common for international publications. At schools however, progress is also often measured using percentile ranks and improvements in percentile ranks, which compare students' results on standardized tests against the average score for students in the group. These gains are summarized here for the studies of the publications above. The largest improvement in percentile ranks was generally achieved for subtraction with large effect sizes. Children with math difficulties were able to improve by as much as 16 points after only 6 weeks of training. The percentile ranks also show large improvements for children without difficulties in math to begin with.